Over two impeccable levels this four-bedroom two-bathroom home provides for family living within a blue-ribbon location. The lower level features an entry foyer, modern kitchen-informal meals/living area with smart white kitchen incorporating stone bench tops along with Miele, Siemens and Bosch appliances, a spacious formal living-dining area, laundry and powder room. Upstairs are four double bedrooms, including master with walk in robe and ensuite. The lower ground level comprises a spacious cellar-workshop area. The home is impeccably presented and features polished oak flooring, ducted mains gas heating, gas hot-water and cooking, wired in Bose speakers, functional fire-places (one with wood-heater), electric heat banks, Fujitsu air-conditioner, high quality kitchen appliances, feature French doors along with solid blackwood and cedar doors. Outside there are lower and upper level full-length covered decks with the upper level providing far riverviews. There is a single carport plus additional off-street parking, along with sheltered paved outdoor entertaining area, level lawn with built in gas and wood-fired barbecue and excellent established gardens. 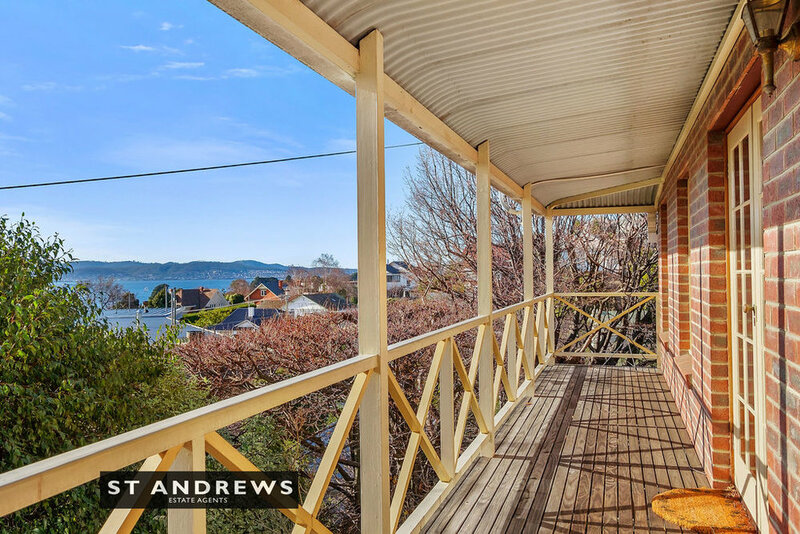 The home is positioned at the head of a no through roadway and favoured with lovely river and leafy suburban views and a highly desirable northerly orientation. 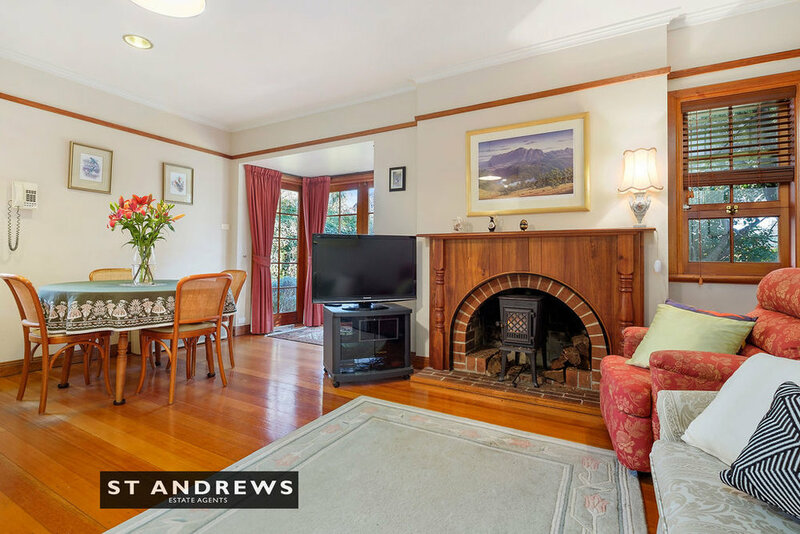 This is a highly desirable position in what is a quiet, private and leafy setting. 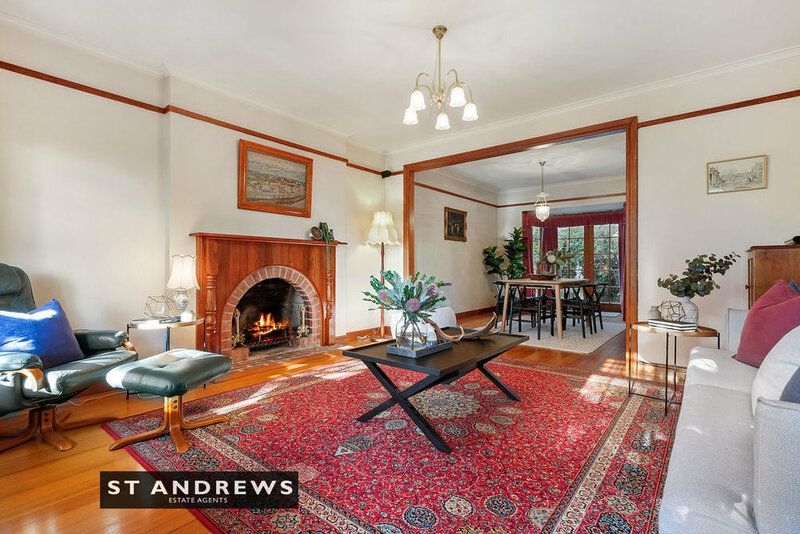 Walk to local schools, beach, lower Sandy Bay shops and Nutgrove Reserve.